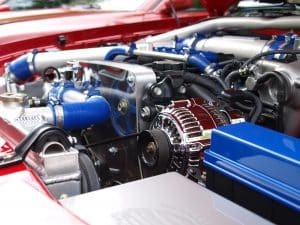 It is perfectly normal for your car engine to slightly vibrate when in use due to the rotation and movement of essential engine components such as the gears and timing belts. However, rough idling, which is the shaking or vibrating of a car while idle indicates that there possibly is something wrong with the engine. A vehicle should always run smoothly, whether it’s being driven or sitting idle. There are several known causes of a car that is shaking at idle. The most common thing is actually misfires or any faulty fuel-air mix ratio. However, it could often be other causes also and here are the most common causes! Spark plugs are responsible for lighting the fuel in the engines piston cylinders. A worn out spark plug will not be able to transmit electricity to create sparks and ignite each cylinder properly reducing your engines ability to run efficiently. This results in your car shaking while idle and is also responsible for your car jerking while accelerating. The problem can be resolved by replacing your spark plugs or cleaning them in the event they are dirty rather than worn out. Spark plugs don’t have a long life span; however, they are affordable making replacing them inexpensively. If you are not a do-it-yourselfer, you can visit your local mechanic who can install and calibrate your new spark plugs for you. A broken or loose serpentine or timing belt could be the reason why your engine is vibrating while idle. A timing belt synchronizes how the crankshaft and camshaft work together to open and close the engine valves in time with each of the engine’s pistons. A serpentine belt, on the other hand, is responsible for your engine’s cooling system. It powers parts like cooling fans and air conditioning compressor. These belts ensure that your engines operate normally and if they break or become lose your engine will begin to vibrate and make distinct noises. In time your engine will completely stop working and shut down. It is therefore important to have your belts checked regularly to see if they are properly adjusted, broken and operating correctly. Regular checkups will catch the problem early and prevent the rough idling and consequent engine damage of your vehicle. 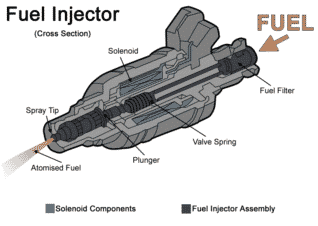 Car fuel system components slowly experience wear and tear. Their purpose is to deliver dust and dirt free fuel and air to the engine. If any of the components are clogged or damaged your engine will receive unclean and uneven amounts fuel which will lead to your car vibrating while idle. A Throttle body/carburetor: The work of a carburetor is to regulate the amount of air and fuel that gets into the engine cylinders. Catalytic converter: A catalytic converter regulates the emissions leaving your car. A Fuel filter: whose work is to prevent dirt and dust from entering the fuel injection line and finally the engine. Vacuum line: A vacuum line will ensure the air flowing through the engine system does so at optimal pressure. An airflow mass sensor: This is responsible for balancing the air-fuel ratio that reaches your car’s engine. A loose or broken transmission mount will allow the engine excessive movement causing it to vibrate violently while idle and accelerating. This is because it is no longer holding the engine in place and could cause other parts to malfunction resulting in further engine damage. One way to identify whether your car has a broken transmission mount is to put the car in neutral and see if shuddering has reduced. This comes in handy when reducing diagnostic costs from your mechanics bill. Bent brake rotor: Brake rotors optimize the functionality of braking pads and calipers, if the brake rotors are bent then the vehicle will not slow down quickly, and you will experience shakiness as the car responds to pressure from the brake pedal and tries to slow down. Other causes may include a sticky brake caliper, bad propeller shaft, and loose wheel bearings. Vehicle vibrations when idle is not normal and usually means there is something wrong with one or more of the above-mentioned engine components. The most common reason why your car shakes when idle is a damaged transmission mount. This is because the purpose of a transmission or motor mount is to hold your engine in place while absorbing vibrations. Even though engine troubleshooting is an excellent skill to have it is important to have your car thoroughly inspected by a mechanic if it starts shuddering while idle. A professional diagnosis will ensure the right repairs are done and the healthy maintenance of your engine.